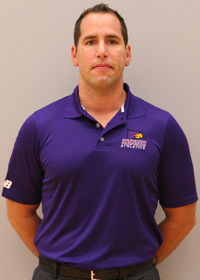 Hunter College, a New York City Division III wrestling program, takes to the mat for the 2009-2010 season under the leadership of interim head coach, Mike Simon. After thirty continuous seasons, Bob Gaudenzi will take a temporary leave from his head coaching duties. For Simon, the head coaching role is the realization of a dream that was first planted when he began wrestling in the 8th grade at Warwick Rhode Island.